With President Donald Trump considering declaring a national emergency on the border, some on the left are plotting their own emergency declarations. Yesterday, Washington Governor Jay Inslee, a potential 2020 presidential candidate who wants to be the “Climate Hawk-in-Chief,” began laying the groundwork for the left to use emergency powers to dictate energy and environmental policy. 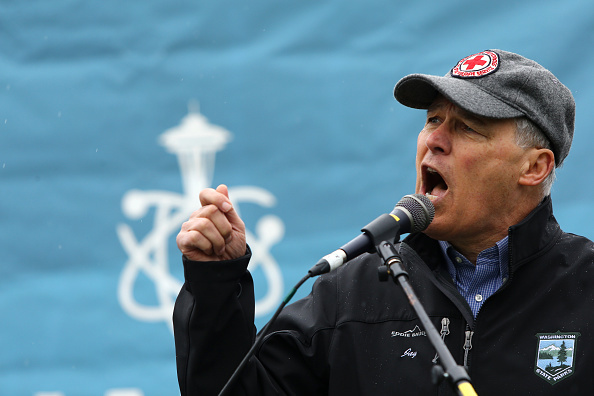 Inslee is known for repeatedly failing to push harmful carbon taxes on the people in his home state of Washington. Inslee appeared on MSNBC’s Meet The Press Daily and called climate change a “national security threat” during an interview with Chuck Todd. Todd then asked Inslee whether he’d be open to using emergency powers to get around Congress to implement environmental policy. That Inslee refuses to give “a yes or a no” says everything you need to know about where he stands. It shows he’s open to declaring climate change a “national security” crisis as a way to force policies Congress would never approve. The environmental left is laying the groundwork for twisting the definition of “national security” in order to get their way. It’s a dangerous perversion of the rule of law, and it’s something Power The Future will be closely watching as the 2020 presidential race comes into full swing.